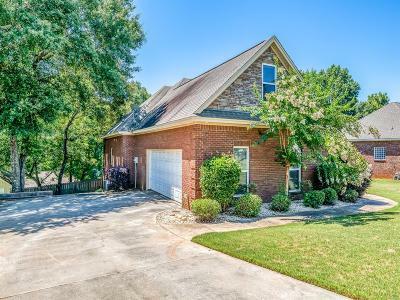 1611 Guiding Way Lane Prattville, AL. 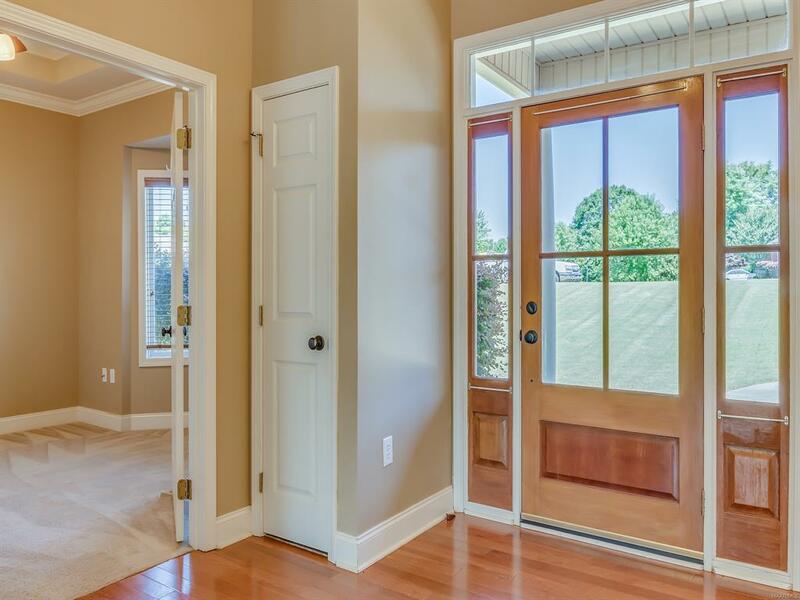 | MLS# 450509 | Montgomery Alabama Real Estate - Search Over 3,000 MLS Homes for Sale or Rent in Prattville, Millbrook, Wetumpka & Montgomery, Alabama. 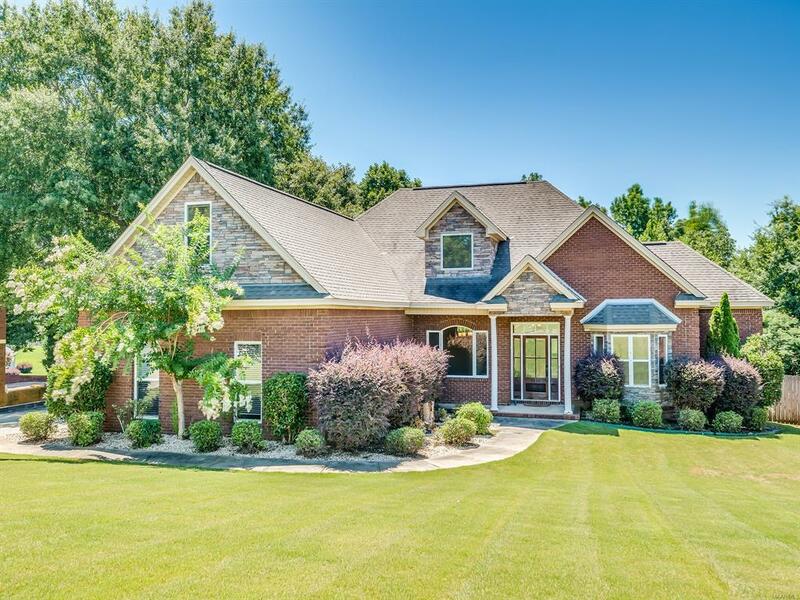 This wonderful low maintenance 4 or 5 bedroom, 3 bath home with brick and stone finish will welcome you with all of its wonderful features. 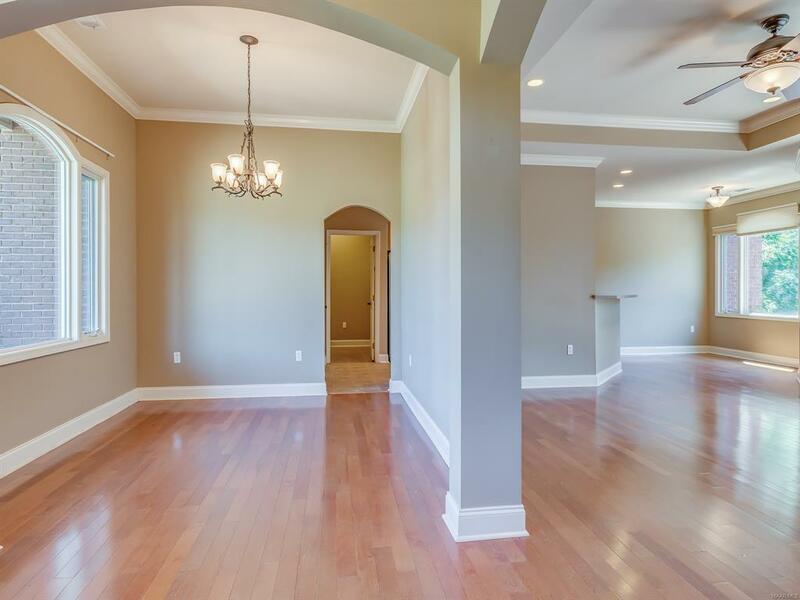 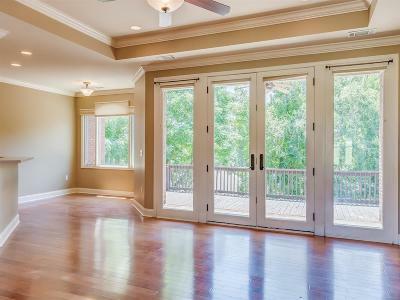 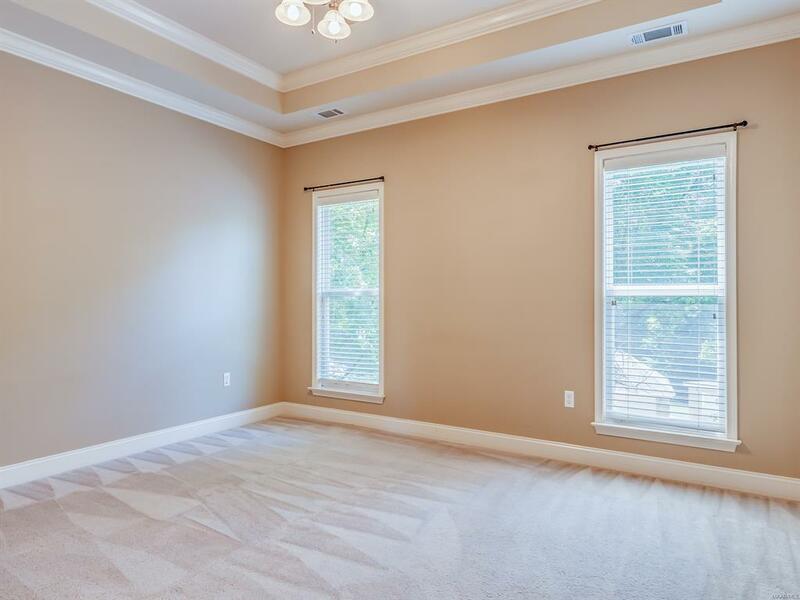 Home has wood flooring in the greatroom and dining areas, and ceramic tile in the kitchen and bathrooms with carpet in the bedrooms. Lovely arched doorways too! 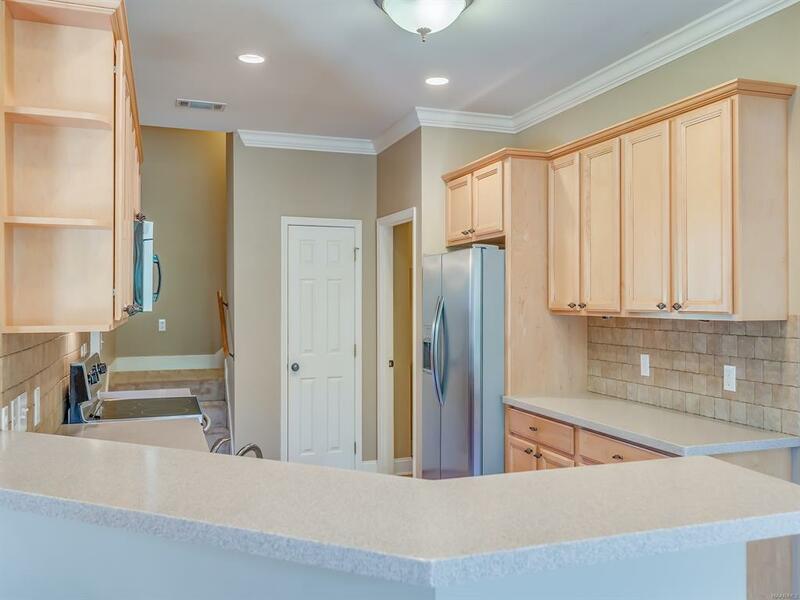 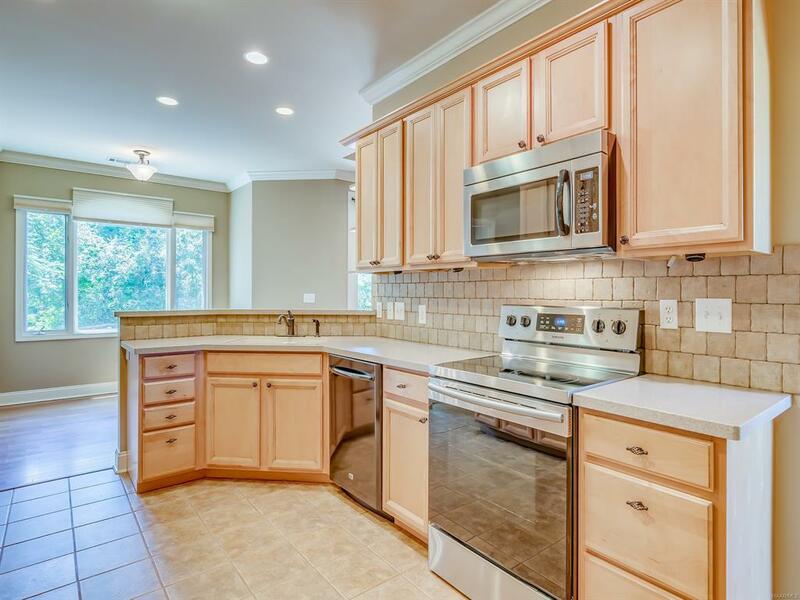 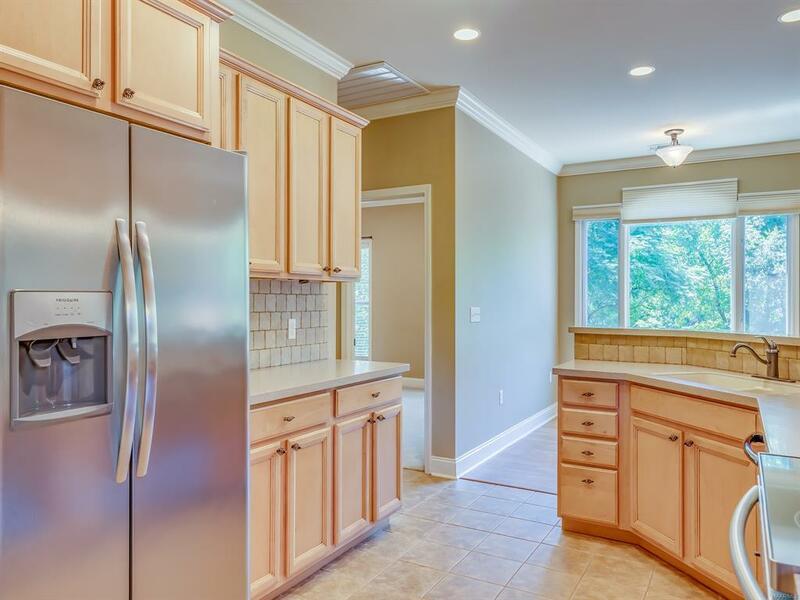 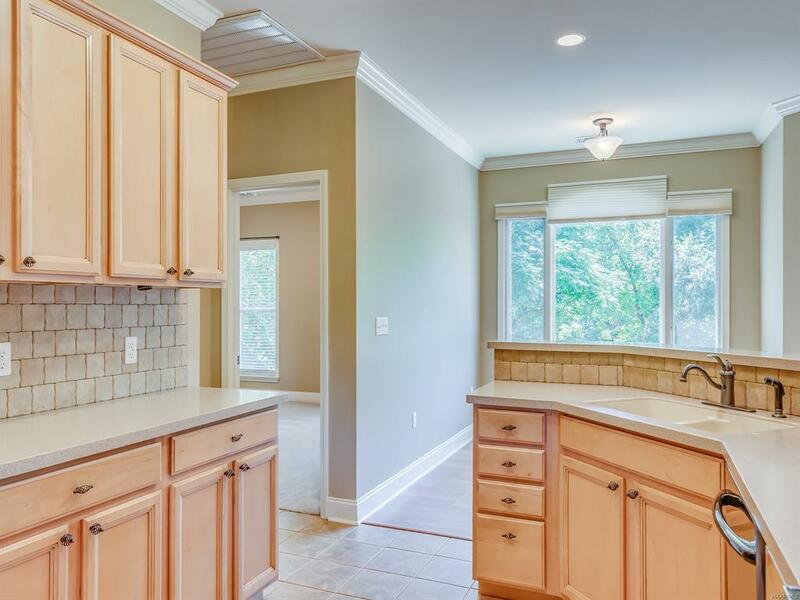 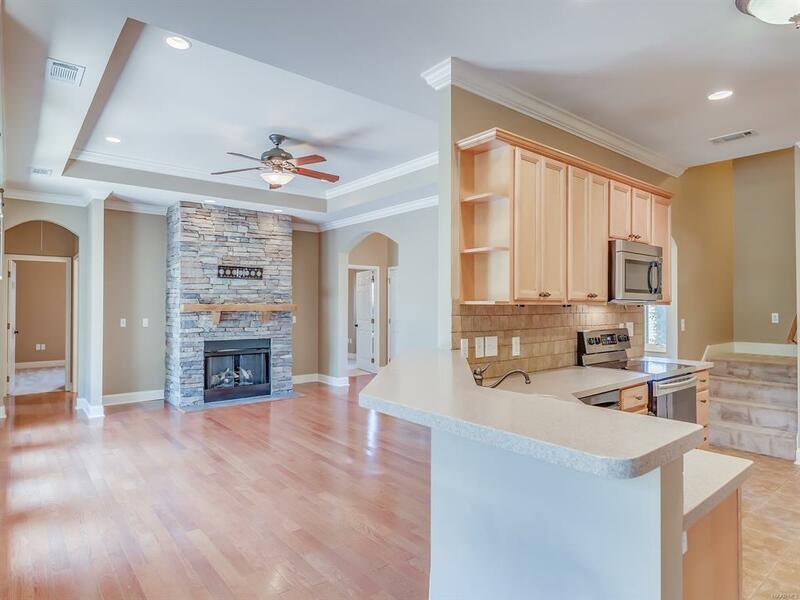 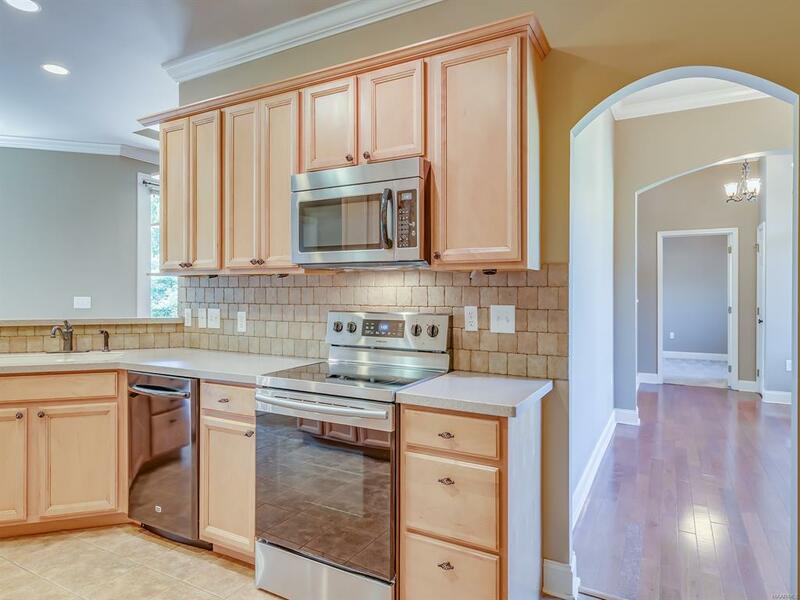 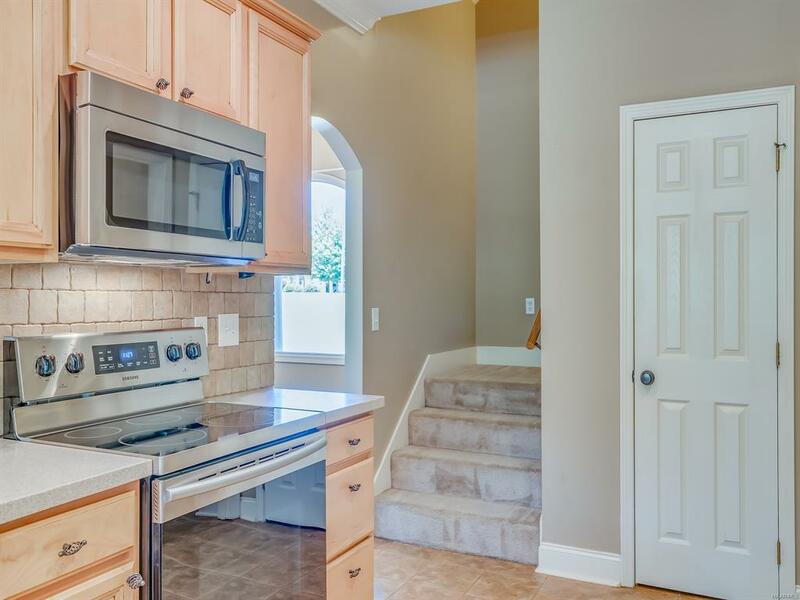 Kitchen is fully equipped with breakfast bar, stainless appliances (to include the refrigerator, dishwasher, microwave, and stove, solid surface countertops, tiled backsplash, and pantry. 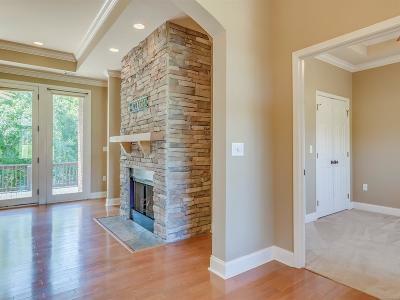 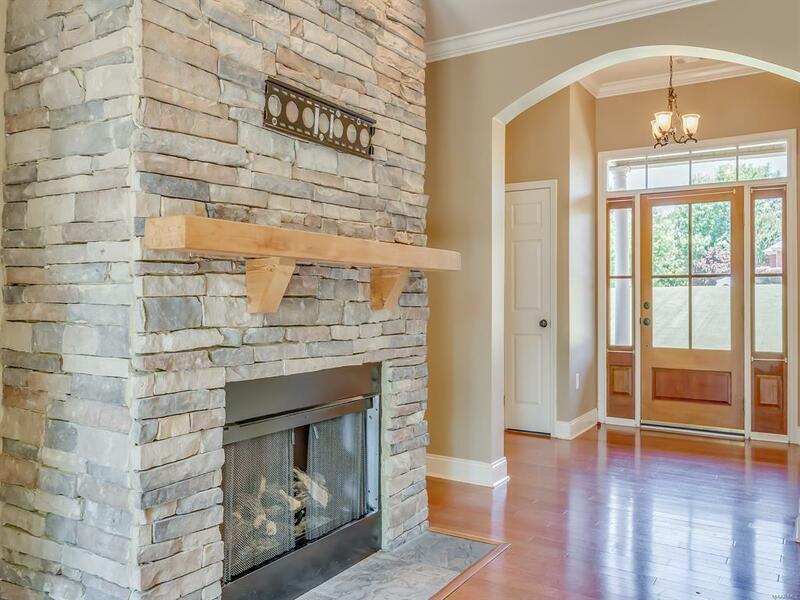 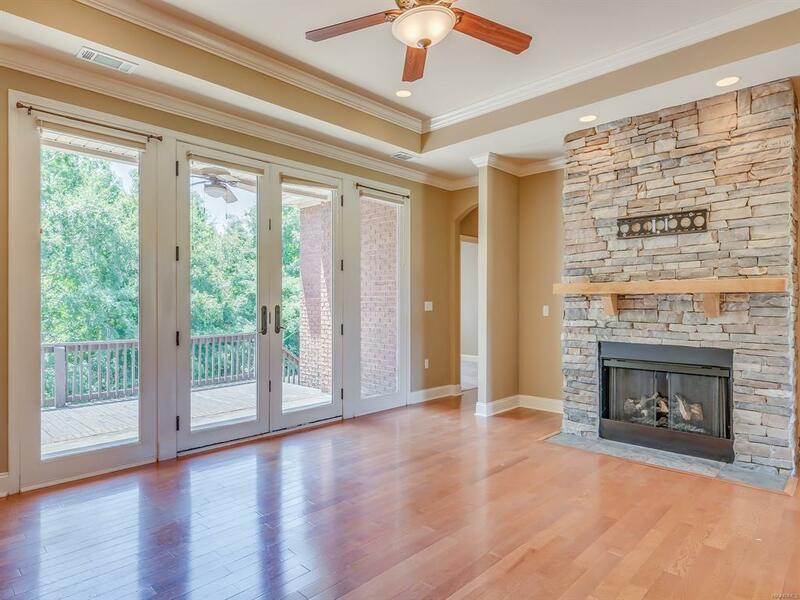 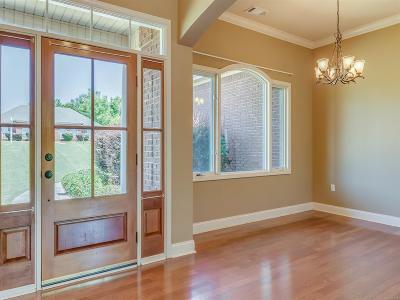 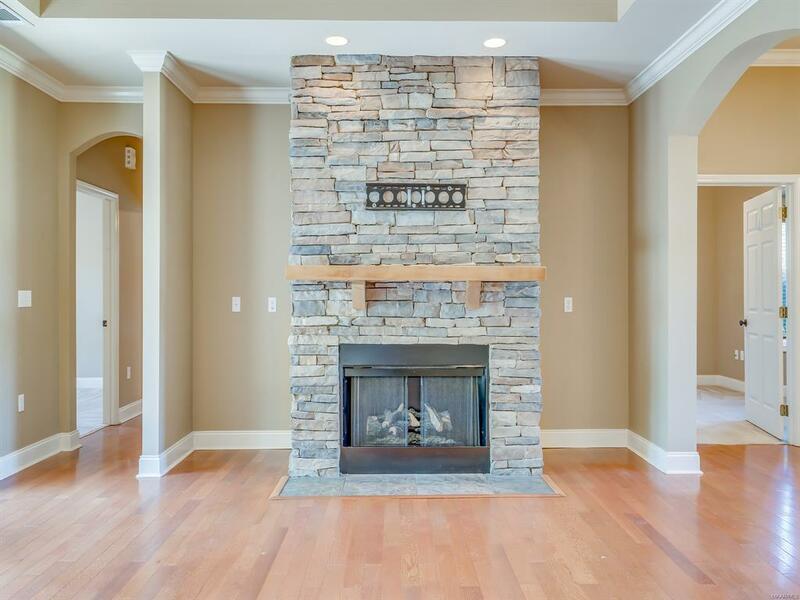 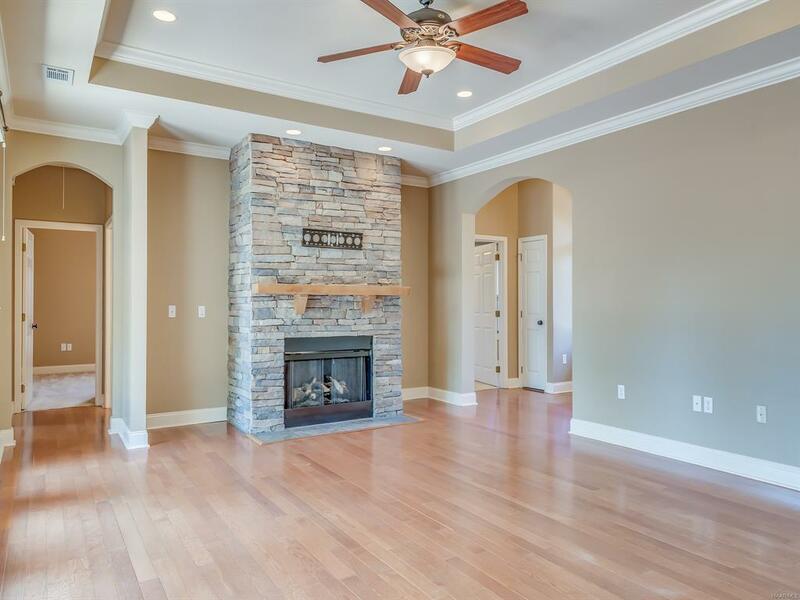 Greatroom has lots of windows overlooking the deck and huge backyard and has a nice stone fireplace. 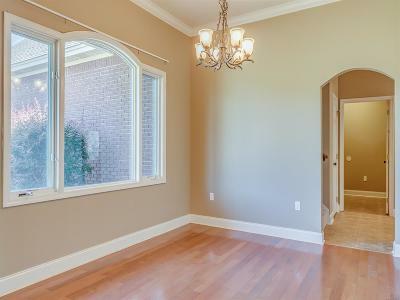 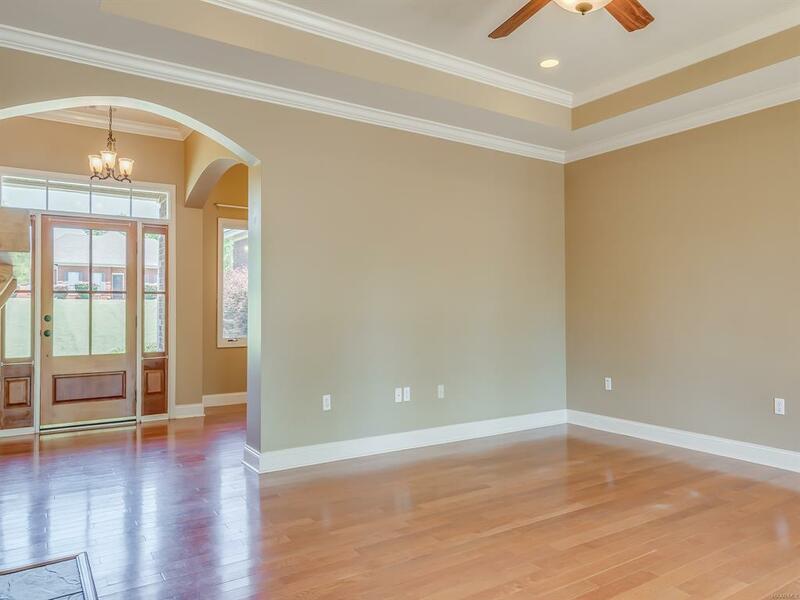 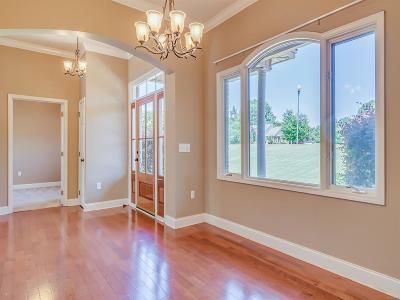 The master bedroom is oversized and has a trey ceiling with crown molding. 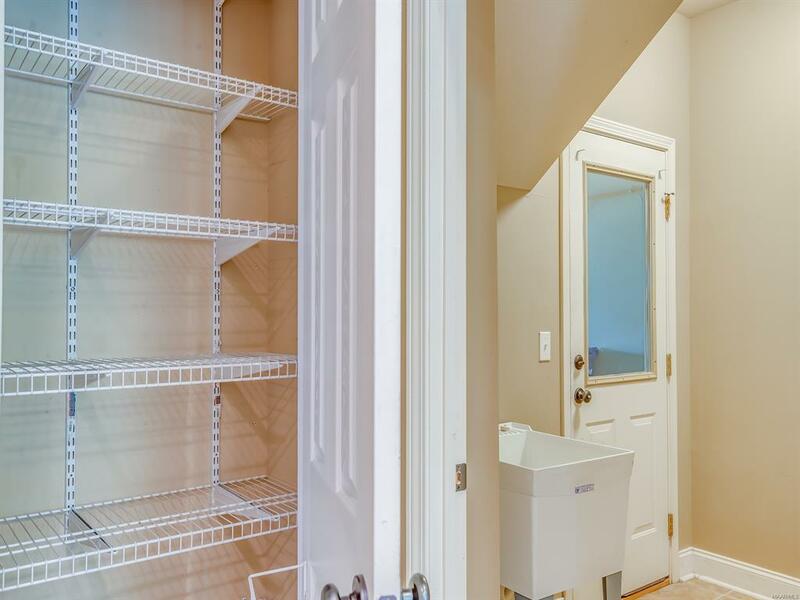 Master bath has separate shower, garden tub, double vanities, and a huge walk-in closet. Guest bedrooms are located on the opposite side of the house than the Master bedroom. 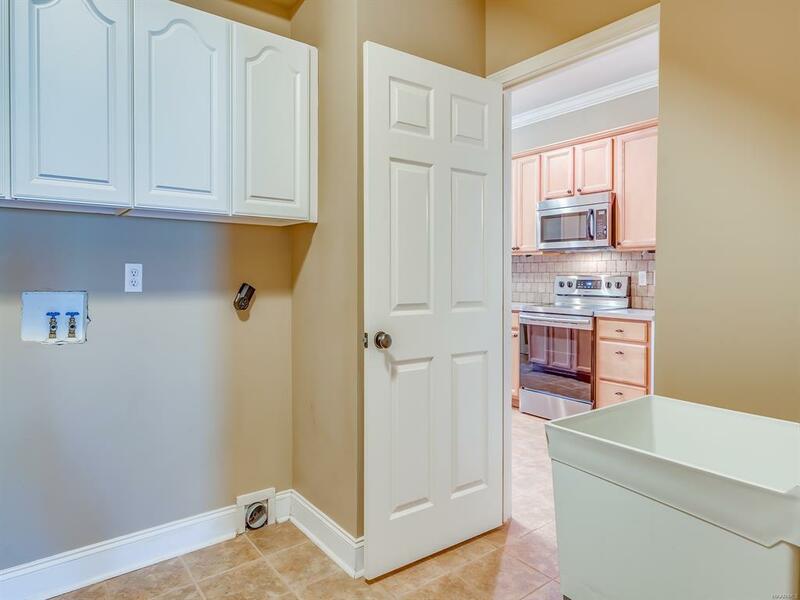 There is a jack-n-jill bathroom connected to the front bedroom and to the hallway where the other bedrooms are located. 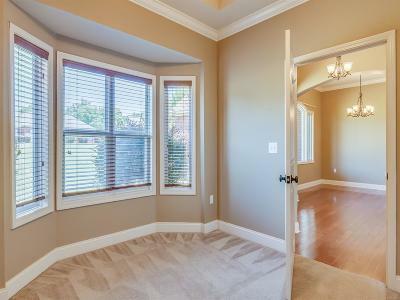 The upstairs bonus room has a separate bath and closet and would be perfect as a teenage suite or guest suite! 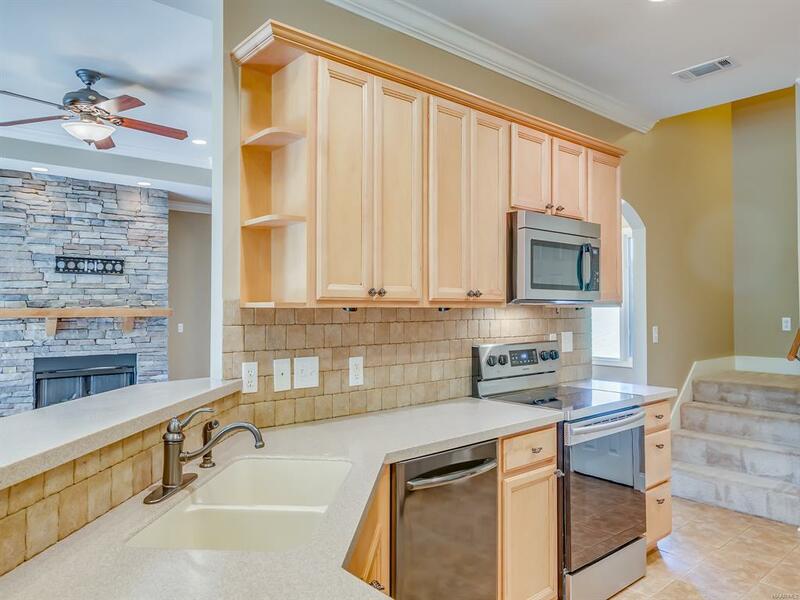 Also has an oversized two-car garage with storage.